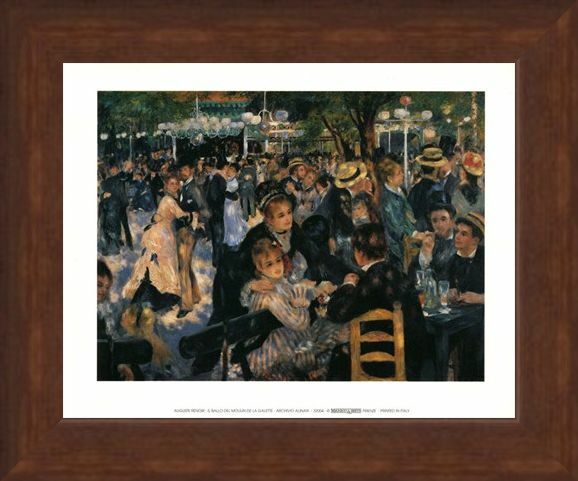 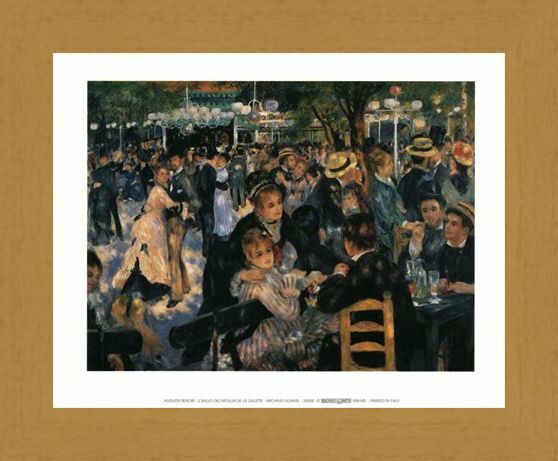 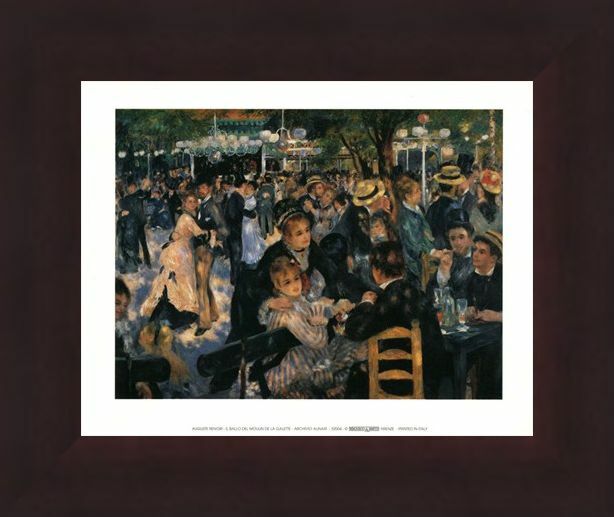 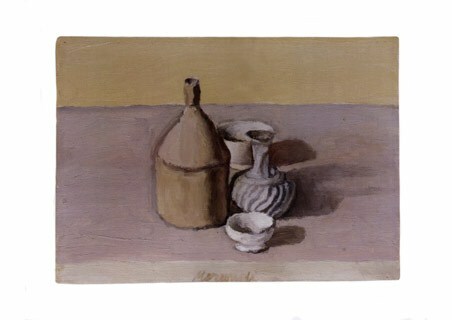 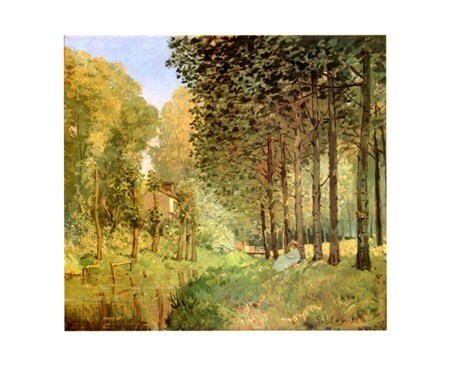 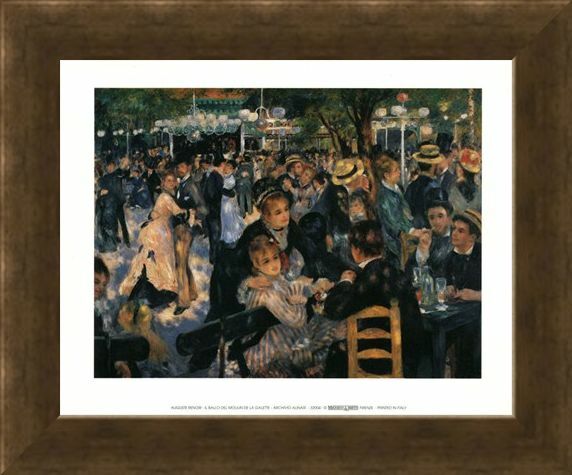 Mini Art Print: Welcome the classical style of Pierre-Auguste Renoir into your home with this enchanting print hanging from your wall. 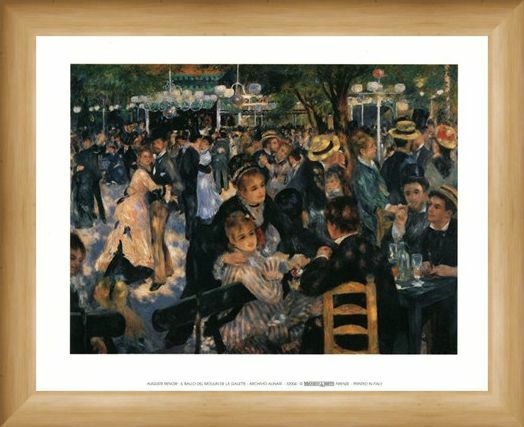 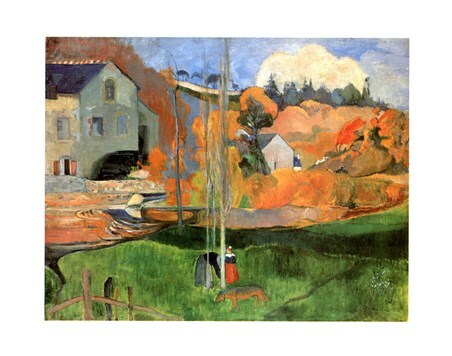 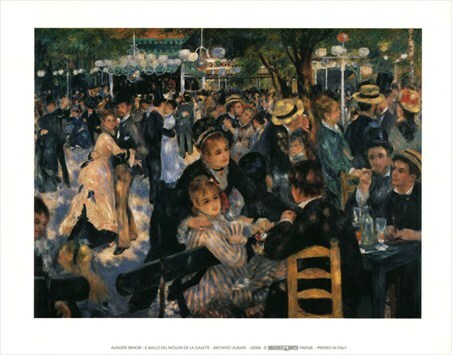 Entitled, 'Il Ballo Del Moulin De La Galette', this stunning painting depicts a group of the artist's friends and acquaintances gathered together at the mill of Moulin de la Galette in Montmartre. 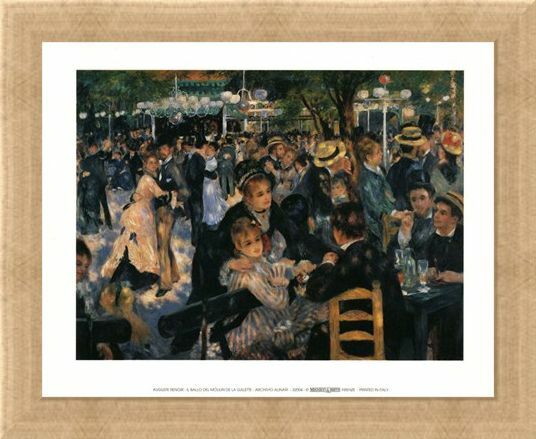 As people chat and dance with their partners, the painting is brought to life magnificently with warming tones and beautiful detail. 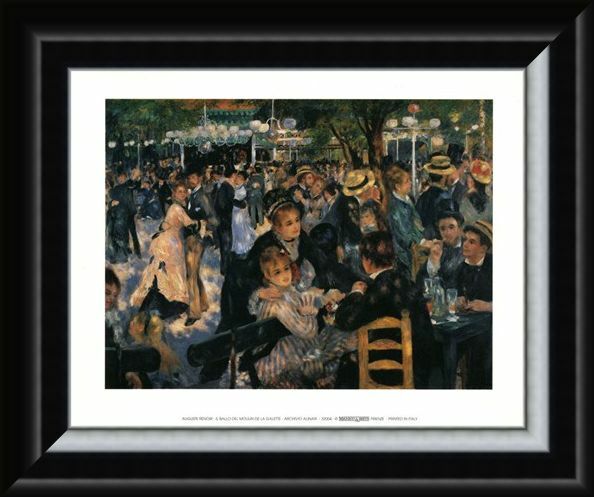 Add a classic to your interior and you are sure to be rewarded with its glorious glow. 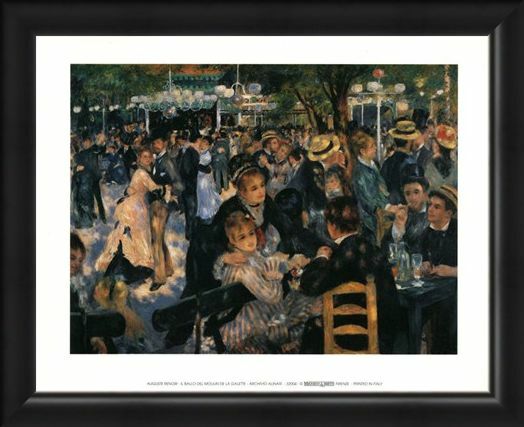 High quality, framed Il Ballo Del Moulin De La Galette, Auguste Renoir mini print with a bespoke frame by our custom framing service.